A new book suggests that being fired is no bar to future corporate success. Might this explain also how football managers as well as corporate leaders and politicians can recover from humiliating dismissal? We examine this through the exceptional case of Aston Villa football club, and its long-time trigger-happy owner ‘Deadly’ Doug Ellis. Corporate leaders have increasingly short tenures. It’s a game of hero to zero. American leadership researchers Sonnenfeld and Ward suggest that the heroes who became zeros still have good chances of bouncing back and winning another chance to succeed in the top job. It occurred to me that their evidence could be extended from the boardroom to other leadership fields. The researchers interviewed chief executives and executive placement consultants. It turns out the consultants find it easier to secure their clients another CEO post, than to secure them a director’s seat on the board of such organizations. (I welcome suggestions about what’s going on there. Are there more suitable candidates available for seats on boards, all with CVs free from blemish?). In certain kinds of study (including studies of effective leaders) you end up with lots of apparently contradictory findings. Researchers can still arrive at some sort of explanation by chunking up their data into clusters. In effect the process produces several micro-theories, which can be re-integrated into a more comprehensive theory within which the inputs lead to different outputs according to various ‘contingent’ variables. Here, the authors identified the type of business as a contingency, with some more willing to believe in giving a fired leader a chance. Turns out that the software sector , together with the worlds of entertainment and sport, are willing to give a fallen leader another chance. They make up a so-called ‘baseball team’ culture. In this culture, being fired is accepted as often being little to do with the competence of the hapless chopped ex-chief. The Studio chief or baseball club owner is utterly driven by results with little weight given to the competence of the victim/leader. Nor is it a strictly American pattern of behaviour. English football teams also have their trigger-happy chairmen. The recently departed chairman (‘Deadly’) Doug Ellis had good record of spotting potential leadership talent as managers of his beloved Aston Villa. Unfortunately, he also was inclined to fire them rather quickly as well. To be discarded by Deadly Doug was more a rite of passage than evidence of leadership incompetence. The story has become a sacred tale which true Villa fans (Villans) can reel off. 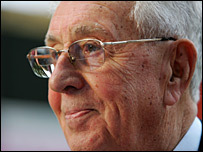 The list has fifteen names of coaching appointments made by Mr Ellis from 1968 to the time of his sale of the club (another, but different story) in September 2006. It makes fascinating reading. The list includes names of managers who indeed survived and bounced back. In one case, Graham Taylor (who also had a stint as England’s manager, yet another, but different story) whose bouncebackability was exceptional.. He was not fired from his first appointment, but left to become coach to the England Football team. He struggled on a near-impossible job there, so could be said to have bounced back to be rehired at Villa, and then resigned after poor results, almost certainly thus avoiding the more typical Ellis goodbye. Another high profile figure in the list was Ron Atkinson. Big Ron lasted for three troubled years, by which time he was developing nicely as one of football’s high profile and controversial characters. Wikipedia’s brilliant and pithy entry can hardly be bettered (although they might have worked in a reference to Ron’s apotheosis of bling). In recent years he has become one of Britain’s best-known football pundits. He is perhaps most famous for his idiosyncratic turn of phrase: his utterances have become known as “Big-Ronisms” or “Ronglish”, the most famous of which is the term “early doors” (English: early), which has worked its way into the English vernacular – although in recent times, he has also attracted a lot of controversy over a racist comment broadcast on a TV sports show when he believed he was off the air. Reviewing the list, I was left with the impression that Doug mostly hired and fired from somewhere not quite at the top of the leadership tree. A self-made success himself, he was inclined to give the nod to other self-made managers. He was looking for the heroic figure to fulfill his dreams. When the honeymoon period was over, divorce was never far away. Without intending to be judgmental, I have to say that the Chairman was to a considerable degree the victim of his own decision-making. He got the leaders he deserved. How does the bounce-back process work? According to Sonnenfeld and Ward, there is little long-term damage for leaders who are dismissed for a clash of wills or judgement with the corporate owner. More damaging is dismissal for poor performance, malpractice or personal misdemeanours. It may be that politicians and football coaches have some hope for reincarnation even for these more serious of charges. Interestingly, we are told that the secret is for the deposed leader to work on a plausible story, denying culpability, shifting responsibility, minimising the gravity of the charges levelled against him (or her), and presenting the appearance of having behaved acceptably and for honourable motives. Perhaps not at all palatable, but rather convincing (as anyone who has read the ghost-written ‘revelations’ of football managers will recognize). All in all, the evidence points to a process in which leaders are created and destroyed by the fantasies of powerful king-makers. Our case study in football seems to match the findings in business leadership. I leave the extension into political leadership for another time. You are currently browsing the archives for the Aston Villa category.